Hall of the Mountain King: Review: In Flames, "A Sense of Purpose"
I was one of those people that thought "Clayman," "Reroute to Remain" and "Come Clarity" were all pretty good records. 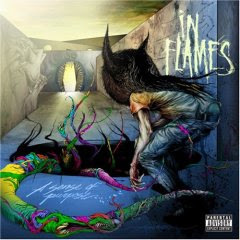 (I am, however, in agreement with the majority on "Soundtrack to Your Escape"), but it still took me a while to connect with In Flames’ latest "A Sense of Purpose." My initial reaction to opener and lead single “The Mirror’s Truth” was really negative. I hated it. My first response is still there for the world to see on the Teeth of the Divine forums. But, I can also admit when I’ve been a little too quick to judge and I’m wrong … sort of. After a few listens, the song began to grow on me, and the same can be said of much of the rest of the record. It’s definitely not among the band’s best work and it definitely won’t end up on my year-end top 10 list, but I can easily see it becoming a guilty pleasure kind of record. "A Sense of Purpose" is certainly the band’s least “heavy” release to date. That will immediately alienate the legions of fans that are looking for them to return to the sound of "The Jester Race" or "Whoracle." This record makes it clear that it’s time to give up on that hope. The sharp-edged, in your face guitar sound that I still love from "Whoracle" is again missing, even on the heaviest tracks, and the guitars seem to be pushed back a little more into the mix. The songs structures are simplistic for the most part. There are only a handful of songs on the record that could be remotely called melodic death, and most of them sound like tunes that you’ve heard before. Still, fans longing for the old days might get some satisfaction from a few tracks on the record. “Disconnected” opens with the familiar mechanical riff and smacking snare, but also has some interesting melodic elements on the chorus. “March to the Shore” probably comes the closest to matching their older efforts, and is one of my favorite tracks on the record. “Condemned” and “Drenched in Fear” both open with a nice, heavy riff, with the latter being another favorite. 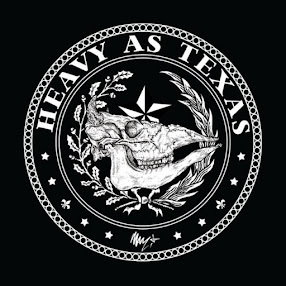 It strikes a nice balance between the heavier sound of their past and the more current sound. As surprised as I am to be typing these words, one of the most interesting parts of "A Sense of Purpose" is in the songs that are perhaps a little more mainstream. There’s an originality in a few of them that’s often been sorely lacking in In Flames’ work. “Sleepless Again” has a little more groove on the opening than the usual In Flames fare, and I particularly like the wailing guitars on the chorus section. Perhaps the most accessible moment on the record for mainstreamers will be “Alias,” but to be honest, I really like this song. That bouncing riff backed by the synth that opens the song is catchy as hell, as is the chorus. It’s not as catchy as the riff from ”Cloud Connected,” but it’s perhaps the most unique and memorable song here. Another nice groove comes in on the beginning of “Delight and Angers,” and I like the little exotic sounding guitar bits before the chorus. The lighter approach isn’t always a positive thing, though. The opening of “I Am the Highway” reminds me of one of those “hip” commercial rock bands that think they’re doing something cool and unique, but all really sound the same, and there’s just no power in the song at all. Likewise, the ballad “The Chosen Pessimist” is absolutely awful. It’s supposed to sound tortured and gloomy, but really just comes off sounding whiny. Anders Friden’s has taken a more melodic direction with his vocals here. On "Reroute to Remain" and "Come Clarity," he often tried to force more aggressive, screamy vocals over songs where they just didn’t fit. He doesn’t do that here. Instead, he takes a cue from Soilwork’s “Speed” Strid and allows his vocals to flow more naturally with the melody. Don’t get me wrong, Friden’s not even close to mastering it the way that Strid has and probably never will. He just doesn’t have the chops that Speed does, but if they intend to continue to follow this musical path, it’s a step in the right direction. No, it’s not a great record. There are quite a few forgettable songs that suffer from the sameness that’s plagued the band for a while now. That said, I’ll admit that, yeah, I kind of like "A Sense of Purpose." Let the laughing and finger-pointing begin. Get "A Sense of Purpose."